I followed an invitation by Maha Bali to annotate a document known as the Copenhagen Letter. Maha had her university students in Egypt doing annotations on a digital text, and she put out a call on her blog to others. 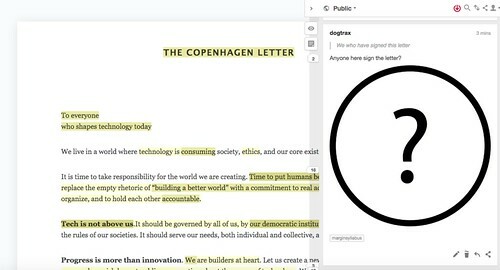 The Copenhagen Letter is an open letter to the world by a gathering of technology and social media folks, and other “thinkers” of some kind or another, as a manifesto for change when it comes to technology. (Here is a link to some of the background of the conference and the letter itself). We used the Hypothesis add-on for crowd annotation, which is such a handy tool for this kind of work. You can read through the nearly 40 annotation observations by following this link: https://via.hypothes.is/https://copenhagenletter.org/ and I suppose Maha would say, Come on in and add your own thoughts, too. As I dove in to the letter from the margins, I found myself feeling mixed about the content. On one hand, the letter is a call to action as a counter to the negative vibes and corporate for-profit threads that seem to be changing the entire DNA of social media spaces. It’s clearly the voice of frustration in terms of corporate desires overtaking user needs. On the other hand, the content of the letter is so vague and so general that is seems almost meaningless as a call to action. I noticed, as I read the margin notes of Maha’s students and others, that not only was I not alone in that critique, but others were far more critical, questioning many phrases and intentions behind the letter. Someone even shared out Aaron Swartz’s 2008 Guerilla Open Access Manifesto as an counter example of calls to action. An ancillary conversation on Twitter pursued this frame of thought a bit more – about whether such a manifesto does any good or if it only exposes the fuzzy language of how we talk about social media and technology in our lives. I’m still unsure about how I feel about the letter, but I appreciate that folks took the time to come together, to recognize the need for change, and worked to articulate concerns to the world. That’s not easy to do. My initial read is that it is a hopeful vision that, together, for this hope, we build. From what could be to what we choose to make. Which leads me to share out news that the group behind Marginal Syllabus, in partnership with the National Writing Project, is launching a project called Writing Our Civic Futures, in which various documents will be open for public annotation with Hypothesis over the course of a few months. This project begins this coming week, so now is the time to engage in discussion and discourse. Learn more about Writing Our Civic Future here. And read the first invitation to annotate a post by Henry Jenkins about youth culture and social media, and change. My sixth grade writers are in the midst of a fiction writing project, where our focus has been on plot design, dialogue writing, proofreading, openings and more. As usual, as they have been writing, I have been writing, too, and as I try to do, I have been sharing my drafts and process as we go along. Yesterday, I shared out this opening to my story, in which the narrator is sent back in time by Book (a character I’ve pilfered from our reading of Book: My Autobiography) to Gutenberg’s time, in order to help him with the printing press and find a way back home for the narrator. I made lots of notes in the margins, and read them out as I read them the story, trying to articulate my “moves” as a writer. 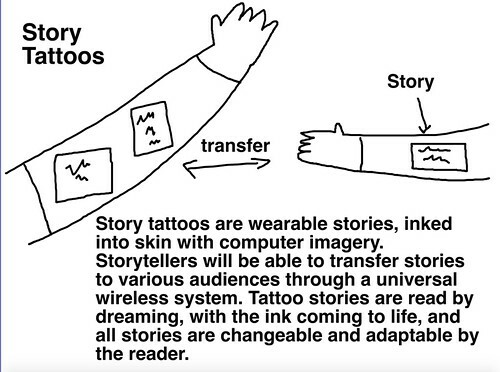 It’s not that I want them to emulate my story construction, but some of the techniques become more visible this way. 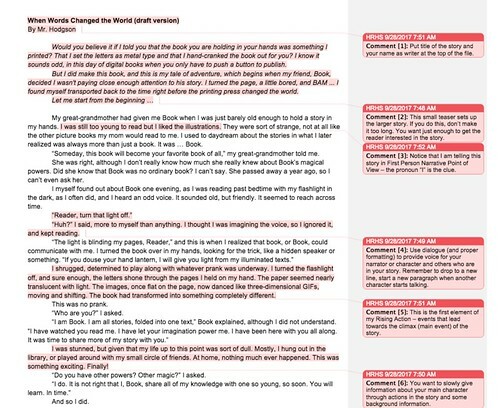 It occurred to me later that a good activity would be to do a crowd-sourced annotation of a story with them, and ask them to identify and annotate places where various writing techniques are visible in the text. 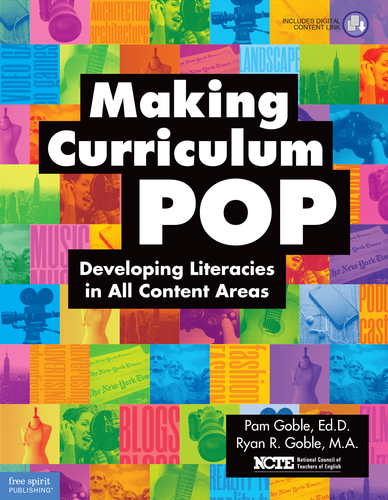 I wrote about pop culture a bit at Middleweb, with a review of the book Making Curriculum Pop by Ryan Goble and Pam Goble. I found it to be a useful book that explores ways to connect learners to popular culture, with plenty of useable resources. This “card” will be helpful for my students to have in from of them when I get into my lessons around digital media and attribution principles, with a focus on how to search for Creative Commons for projects and how to use what other people have made in our own work. This tutorial image comes from a useful post over at KQED called “Pause Before Downloading” and that article also includes a helpful list of places to look for Creative Common images. And I don’t want to forget that Alan Levine’s handy attribution tool for images is something to install as a bookmarklet on our school laptop browsers. Alan has created a simple way to make sure you have the language of attribution down. Just drag the bookmarklet into your browser and whenever you find a Creative Commons image, just click on it and it will give you options for attribution. 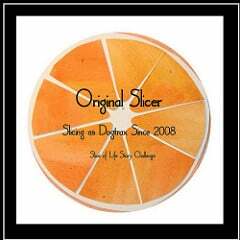 I use it all the time at home. Simple. Powerful. Handy. It’s an odd thing, to read a book about writing by a writer you’ve never read. Oh, I’ve heard of Pat Conroy before — with The Great Santini and My Losing Season and The Prince of Tides — but I never picked up one of his books and read it. Not even once. 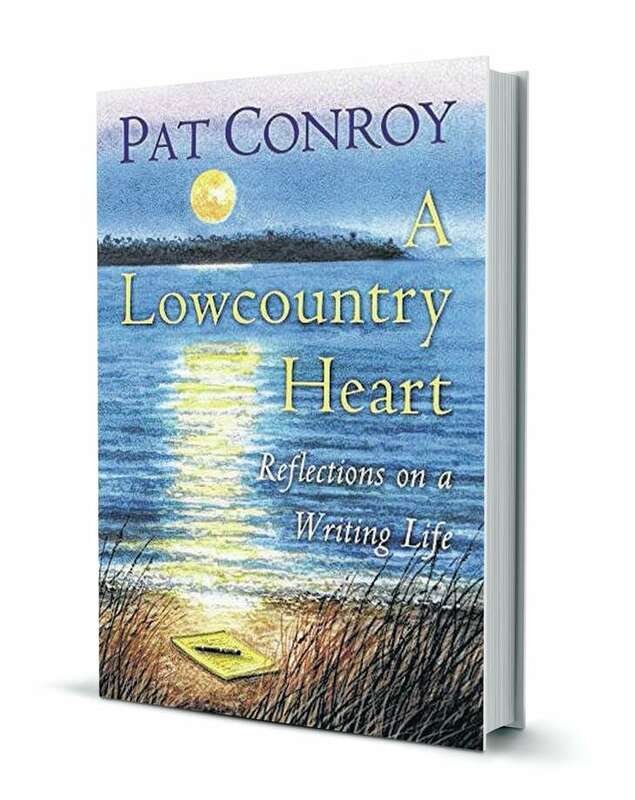 So why pick up A Lowcountry Heart: Reflections on a Writing Life? I suppose my interest in writers writing about writing has me poking around the stacks at the library and there it was, a cute cover and a wondering about the thinking process of this writer I’ve never read. Conroy is part of the Southern tribe of writers, and apparently, used his own personal life as inspiration for his novels about living in and living beyond the American South. This collection of small essays, curated by his wife after Conroy’s death, is a curious tome of voice. Conroy’s engaging and funny observations of people, and himself, come through loud and clear, as does his obsession with the Citidel, tradition, and Southern Culture — all of which he seems to both cherish and ridicule in equal measure as he takes stock of the world around him. In some ways, this is less about the art of writing and more about Conroy’s view of the world as a novelist, mostly told through the lens of the tapestry of people who were woven in and out of his life over time, and whose quirks and friendships and falling outs made their way into his fiction. As his wife explains, Conroy was a collector of stories — and he was apt to steal and adapt any story you told to him, and apparently, he was a master at getting you to talk. I believe it. His writing is very personal and inviting, and you feel as if you sitting around the sitting room, sipping iced tea on a hot Southern day, as he tells the stories he writes about here. There are great moments of Humanity here — I am thinking of his friendship with a gay Southern man who died from complications of AIDS and how Conroy moved to San Francisco to take care of his friend, and to understand the disease better so that he could help others. I’m still not sure that his writing style is my reading style — it all feels a bit too John Irving for me, and I find I am not in a John Irving mood these past few years, although I read Irving at one time — but I admire what Conroy does here. He’s working to peel back the layers of a writer, to show how life is the biggest point of inspiration, and how it takes courage and insight to bring fiction into a light that seems true and worth writing about. And any insights into what makes a writer click .. that’s always worth a read. My middle son, a high school senior, and his friend are having tons of fun (and working long hours) producing a weekly segment for their high school television/media class’s online television show, called The Transcript. This second segment — Moth vs Bear — of the school year became a “bonus” last week because it didn’t fit the serious theme of the rest of the show. I got a kick out of it. 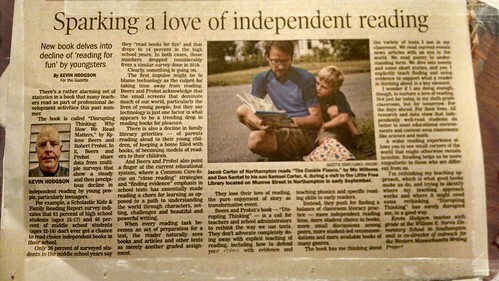 A column that I wrote for our local newspaper through an ongoing monthly publishing partnership via the Western Massachusetts Writing Project to feature WMWP teacher-writers ran yesterday morning. 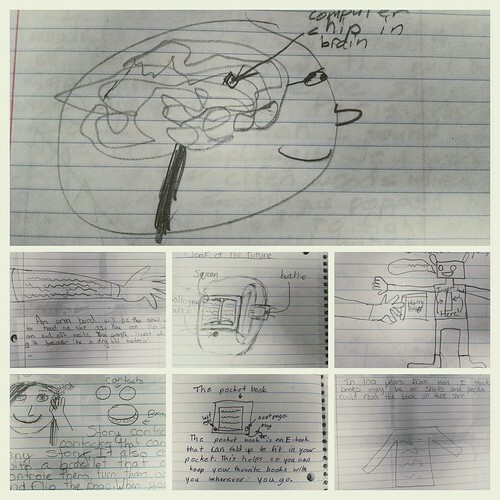 In it, I explored how the book Disrupting Thinking by Kylene Beers and Robert Probst has me wondering what else I can do to get my sixth graders deeper into independent reading. The stats they provide, and my own classroom observations, indicate a decline in “books in hand” and I find that alarming. I decided to do a podcast version of the piece.